The University Registrar's Office manages the registration process and related activities for all CMU students. Our goal is that our online services make these processes easy and secure. 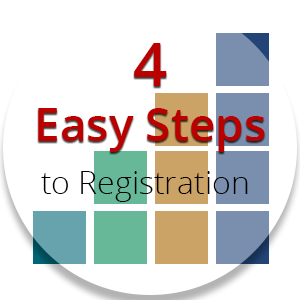 The registration process may be completed in Student Information Online (SIO) in 4 easy steps. Departments and faculty seeking registration, course and classroom scheduling, or grading information may visit the Enrollment Services for Faculty & Staff website. Undergraduate students are considered full time if registered for 36 or more units. Students should be sure to confirm their class level and enrollment status in SIO prior to registering. Students must be registered for courses by the tenth day of classes or they will be administratively withdrawn for the semester. Any student who has been administratively withdrawn in error should immediately contact their academic advisor. Students must meet course pre- and co-requisites when registering, and are subject to course space availability. The university is committed to ensuring that each degree candidate has access to a normal course load before permitting other students to register for a greater than normal number of units. Students enrolled as visiting/non-degree (VND) do not have registration start time assignments. View detailed information about enrolling as a VND student and registration. Carnegie Mellon offers a variety of summer pre-college programs for high school students and courses and programs during the summer for current, visiting or high school students. View detailed information about enrolling in these programs or courses. There are several processes that the University Registrar's Office and The HUB assist students with related to Study Abroad registration; however, students interested in studying abroad should visit the Office of International Education's Study Abroad for detailed information.